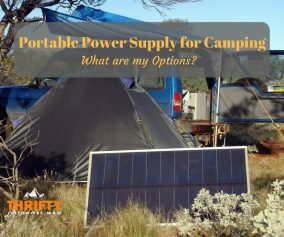 Should You Use a Ground Cover/Cloth Under the Tent? 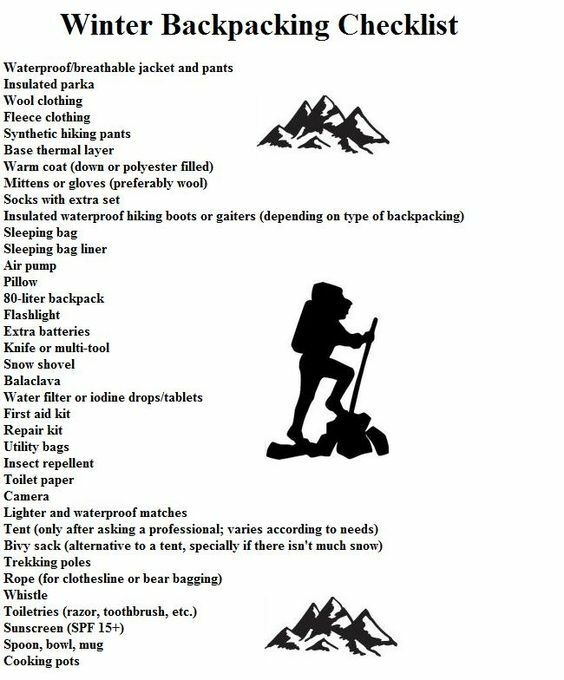 There are a lot of details involved when you plan to camp or backpack in the winter; planning, clothing and gear, nutrition, travel, setting up, safety hazards, and so on. 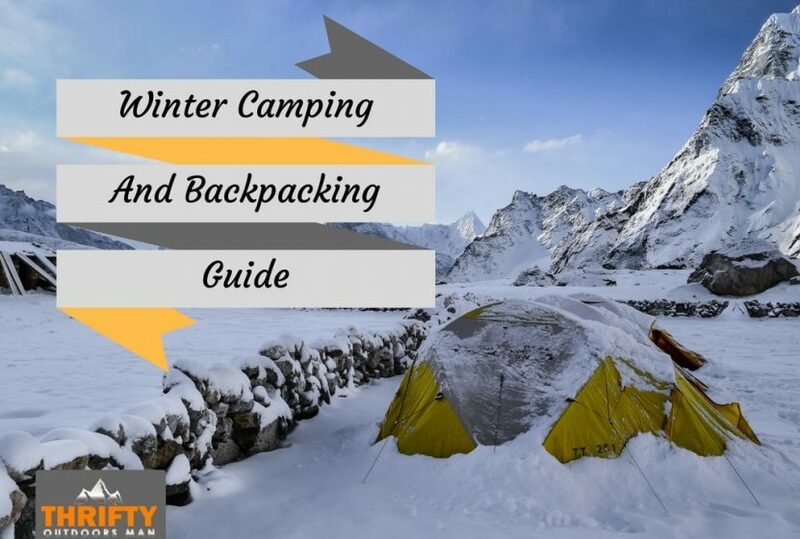 We hope to provide an extensive list of how to best prepare for your cold weather adventures with this winter camping and backpacking guide. Study maps of the area. Plan where you will set up your camp, how you will get there, and what obstacles you might face. If there is an emergency, it is also useful to note where the closest emergency assistance will be. 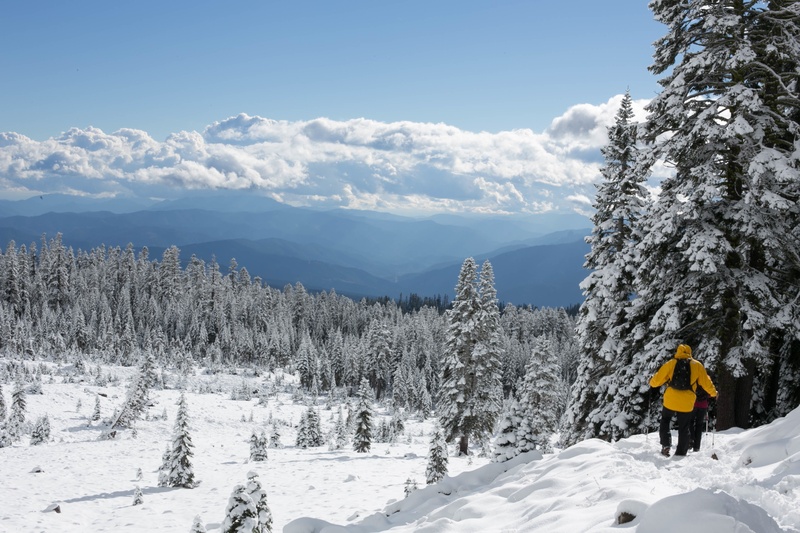 Check the weather forecast frequently.The NOAA website provides forecasts for backcountry areas. Don’t go alone, or, at the very least, tell someone exactly where you are going and how you are getting there. This information could be included in a Trip Plan that you leave with someone. Put information like your routes, travel dates, locations, your car and license plate number, your contact information, and so on. Familiarize yourself with avalanche areas. Recognize an avalanche area and avoid it all costs; an avalanche area is a slope greater than 20 degrees. 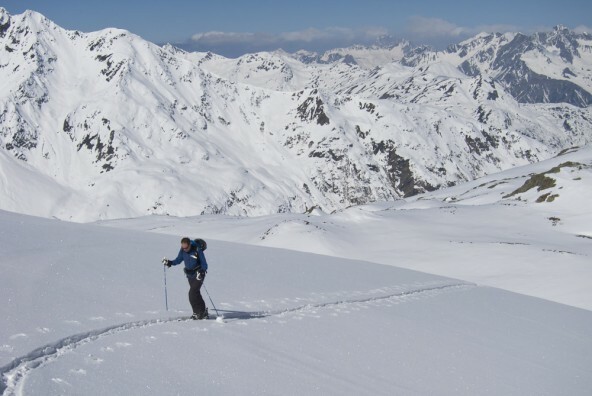 Your group should have formal avalanche training if you do plan to stay in an avalanche area. Have a checklist of everything you need (you will find this below). Check it twice. As the saying goes, “what could go wrong will go wrong.” That’s pretty doom and gloom and not necessarily true, but it’s important to have a backup emergency plan, extra gear, food, and water, and your wits about you in case you get lost or encounter an emergency situation. It might be difficult surviving in winter conditions if you head out with a backpack, T-shirt, and flip flops. 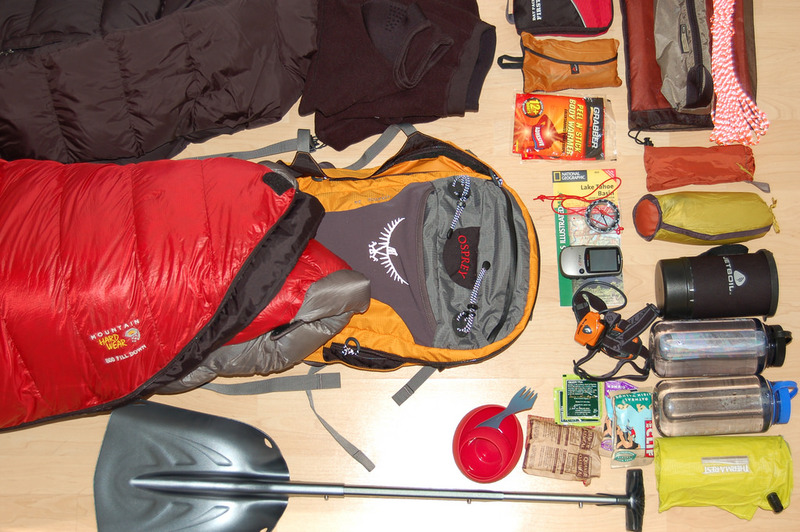 Clothing and gear are just as important as food and water. There are a zillion options out there as far as brands, gear, and clothing choices. Here are a couple of essentials. 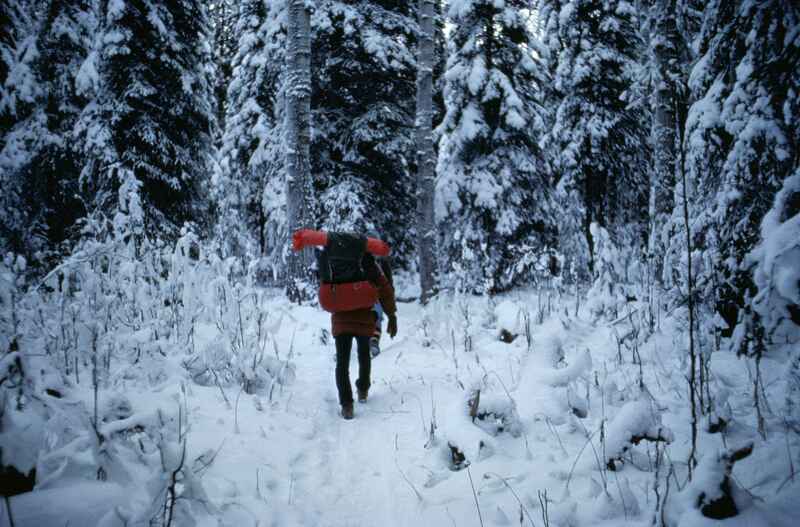 There is a simple rule with camping and backpacking, especially in the winter, and that is to stay dry and warm. You want clothing that is breathable, wicks moisture, is waterproof, and dries quickly. You can ensure that you are comfortable, dry, and warm by wearing these three basic layers. 2) A middle layer - the middle layer is your insulating, heat-retaining layer. Staying warm is essential to your limbs not freezing and falling off. You can use a goose down jacket, expedition-weight fleece, and many other options that you will find in an outdoor shop. I really like physically trying on different materials to see what fits the best and what is most comfortable. 3) An outer layer - the outer layer is the shell protecting your body from the wind, the rain, and the elements. This layer needs to be waterproof and windproof. There are cheap options and extremely expensive options when it comes to this layer. Whatever you choose, you will want to find something with armpit vents and other ways for your body to expel excess heat and moisture. 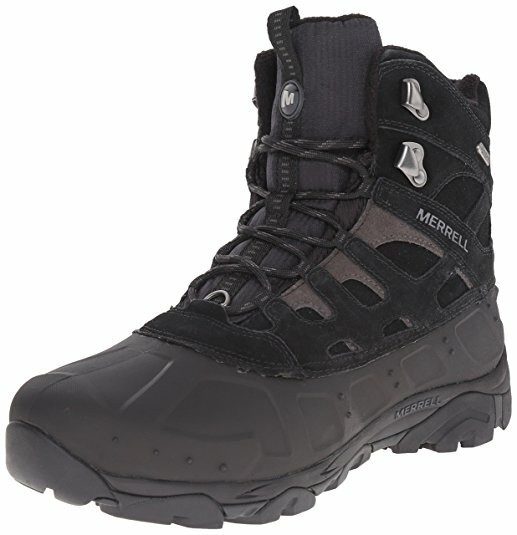 Good quality winter or mountaineering boots. Depending on the weather, regular hiking books might suffice, but they aren’t really built for winter trekking. You want something comfortable, waterproof, and insulated. Tip: To warm up your socks and boots in the morning before putting them on, put them in your sleeping bag with you or besides you to warm them up. You can just put the boot insoles in the sleeping bag also. Hats and gloves. It all depends on the temperature and weather conditions. But covering any exposed skin will save you a lot of cold and pain. No one wants frostbite on the tip of their nose! You lose a significant amount of heat out of the top of your head so a good quality hat will keep your noggin warm. You can also wear a balaclava as a base layer under another hat. 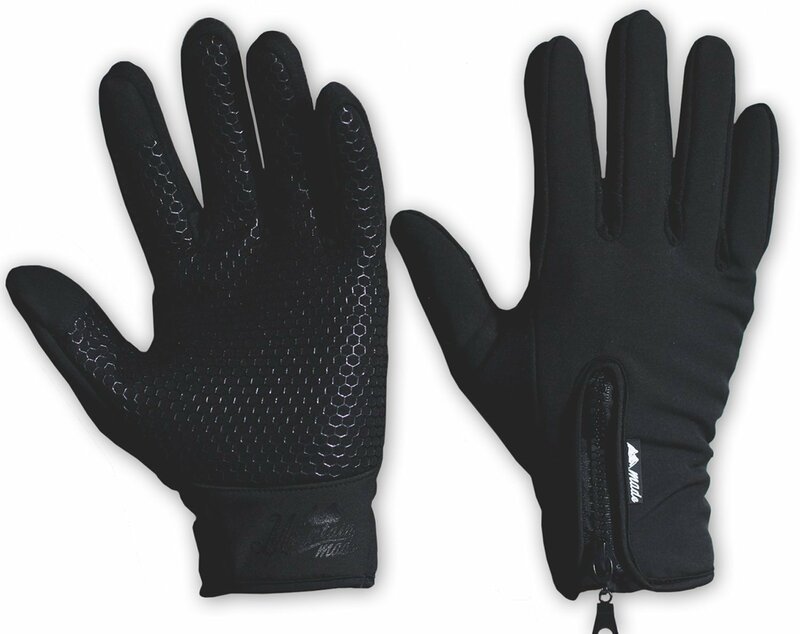 As far as gloves go, waterproof and insulated. Bring extra in case yours get wet on the inside. Socks - bigger is not better. Your feet need to have a little bit of room in your boots so if you have on a super bulky sock and have to squeeze your foot into your boot, they will still get cold. Layers are great here too. A thin layer right against the skin, and then a second layer. Look for moisture-wicking socks like synthetic or merino wool. Cotton just get wet and heavy. If your socks get wet, you can let them dry in the night inside your sleeping bag. 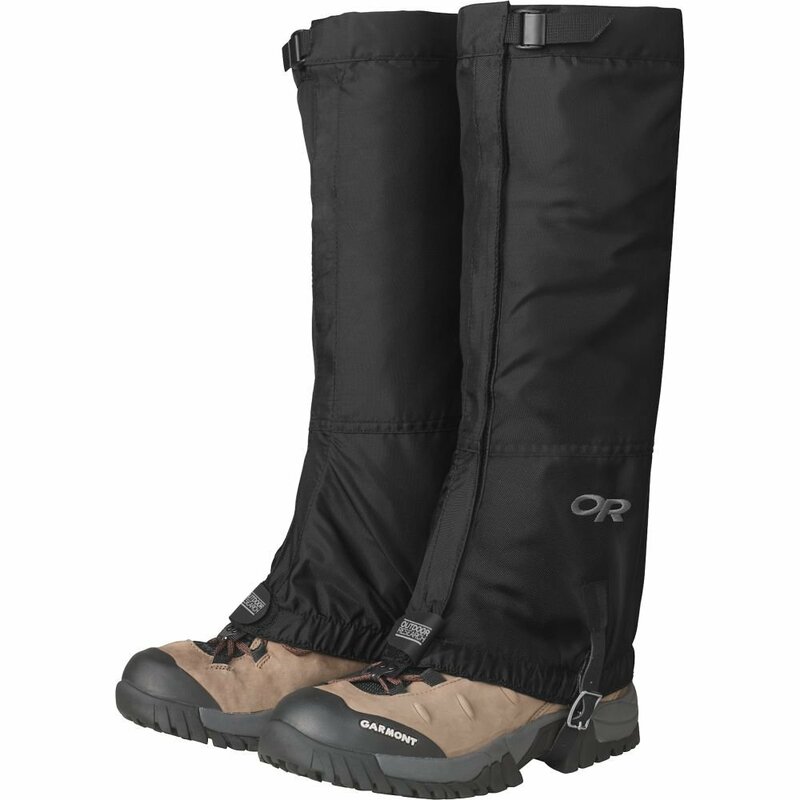 Gaiters - Gaiters are essential in deep snow; keeping the wet and cold out of your pants and boots. If you use gaiters, make sure they are waterproof and breathable and designed for use in the winter! Goggles and sunglasses. The sunshine is possibly even stronger when it is reflecting off of the snow. And bitter winds can be painful on the eyes. Backpack. You can’t backpack without a backpack. When looking for a winter backpack, choose one that holds a high volume. If you will have any larger gear with you like skis and such, make sure there is a way to secure the big items to the pack. Pack lightly. A sleeping bag. Having a warm, protective-from-the-elements place to sleep is imperative. When choosing a sleeping bag, pick one that is at least 10 degrees below the lowest temperature that you expect to encounter, just in case. It’s better to be too warm and remove layers than to be too cold and just remain cold. There are a variety of sleeping bag choices out there. The most popular is goose down. Choose one that is waterproof, if possible. Sleeping pads. When sleeping on the snow, use 2 full length sleeping pads to prevent the excess loss of heat from your body into the cold snow. A sleeping pad provides comfort and insulation. Sleeping bag liner. A liner is an extra layer of warmth that you add to your sleeping bag and provides an additional 8 to 15 degrees of warmth. Skiis or snowshoes. These items can help traverse slopes, forested areas, and rocky terrain that are covered in snow. Sled. A sled could prove very useful in lightening your load that you are carrying on your body, and also allows you to carry more weight. Sleds wouldn’t work in all environments, so research the layout of the land beforehand. 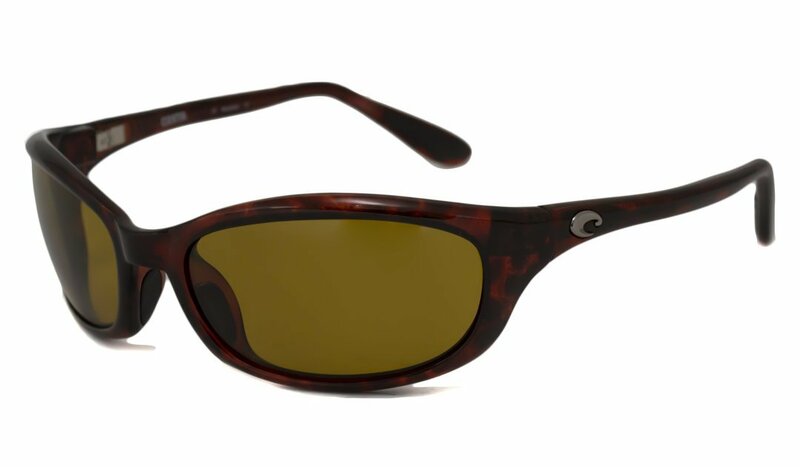 2) Sun protection. Sunglasses, sunscreen for lips and skin, hat, clothing for sun protection. 3) Insulation. Hat, gloves, jacket, extra clothing for coldest possible weather during current season. 4) Illumination. Headlamp, flashlight, batteries. LED bulb is preferred to extend battery life. 5) First-aid supplies, plus insect repellent. 6) Fire. 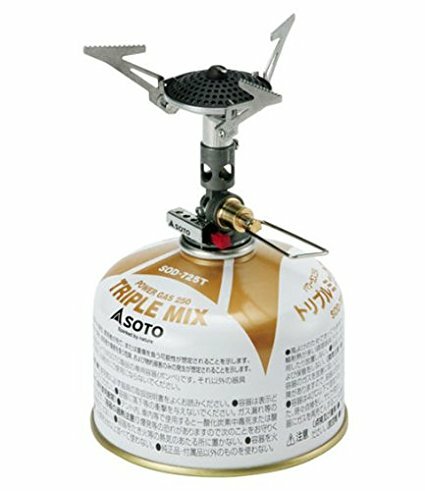 Butane lighter, matches in waterproof container. 7) Repair kit and tools. Knives, multi-tool, scissors, pliers, screwdriver, trowel/shovel, duct tape, cable ties. 8) Nutrition. 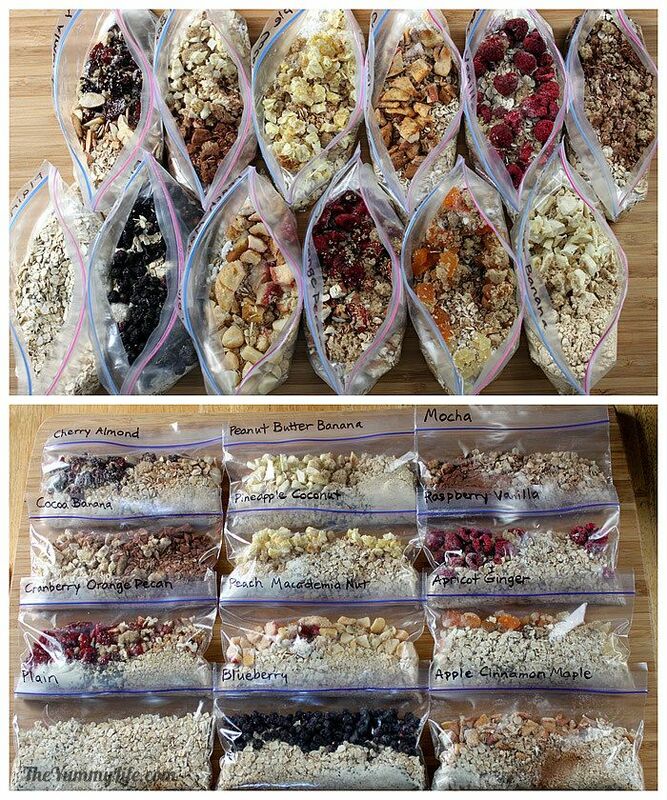 Add extra food for one additional day (for emergency). Dry food is preferred to save weight and usually needs water. 9) Hydration. Add extra 2 liters of water for one additional day (for emergency). 10) Emergency shelter. 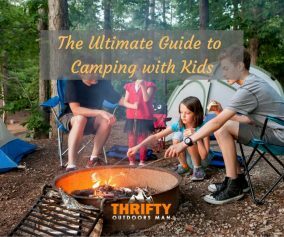 Tarp, bivouac sack, space blanket, plastic tube tent, jumbo trash bags, insulated sleeping pad. It would be a pretty miserable (and possibly the last) trip without food and water. Eating healthy meals and drinking plenty of water will keep your body fueled and strong to take on the extra obstacles that the winter provides. A benefit of cooking in snowy conditions is that you can “build” a little kitchen in the snow using your shovel. Dig a trench about 3 feet down to help block out wind. You could also build a little ice chest, a chair, or a table. The sky's the limit! The most important thing to look for when cooking in cold weather is a sheltered space. 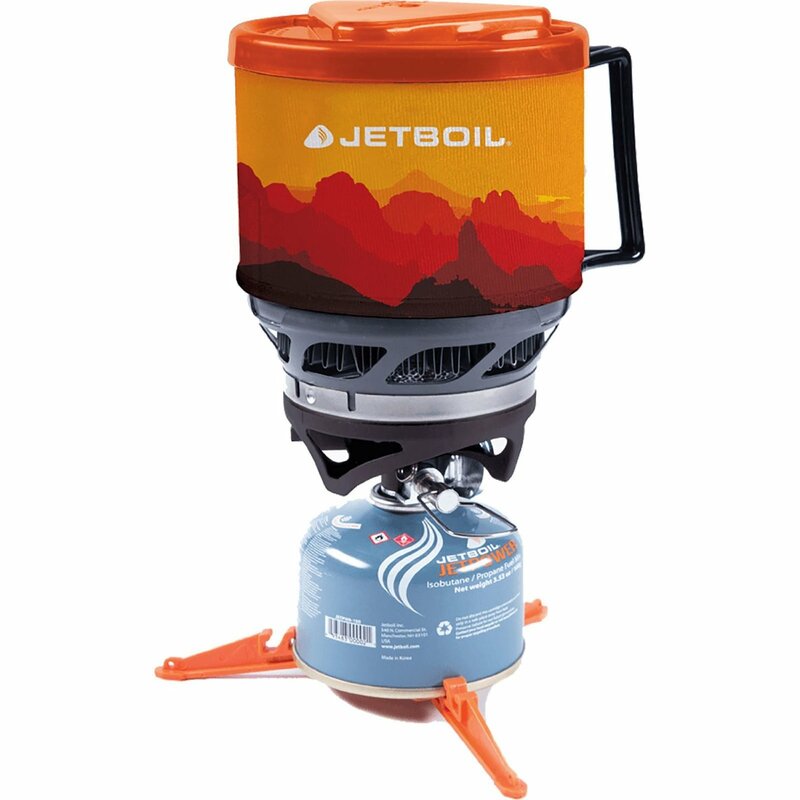 Invest in a stove that can handle cold weather temps. I would advise against cooking in your tent, for obvious reasons. If it is your only options, there are stoves that you can hang up high to keep them off of the fabric. If you do cook in your tent, make sure that it is well ventilated (otherwise you could die from toxic fumes). If you want to live to tell the tale of your trip, you need to drink a lot of water. Even if you don’t feel thirsty. Typically with lower temperatures, you won’t feel the effects of dehydration until it is too late. So drink as often as you can. Set a timer if you have to to remind you to drink. If you run out of water, don’t necessarily start eating the snow straight off the ground. Your body will have to work harder and give away its precious heat to melt the snow in your mouth. 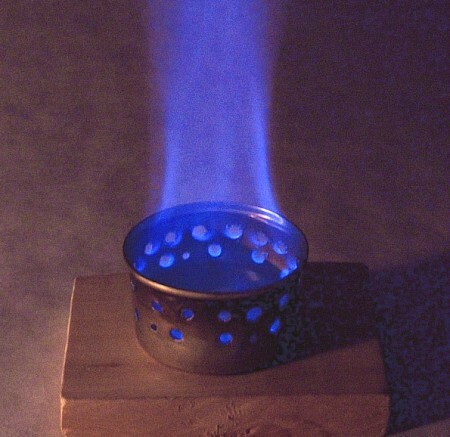 If possible try and melt it over a small fire, filter it through a cloth (unless you don’t mind swallowing bugs and dirt), and drink up. Tip: Avoid caffeine and alcohol. Alcohol increases blood flow and caffeine restricts blood flow; one cooling your core and one cooling your extremities. Usually in winter, our appetites reduce greatly. It will be important to make foods that are easy, appetizing, and filling, and eat often. Check out the guide below to find the best hiking/backpacking foods. 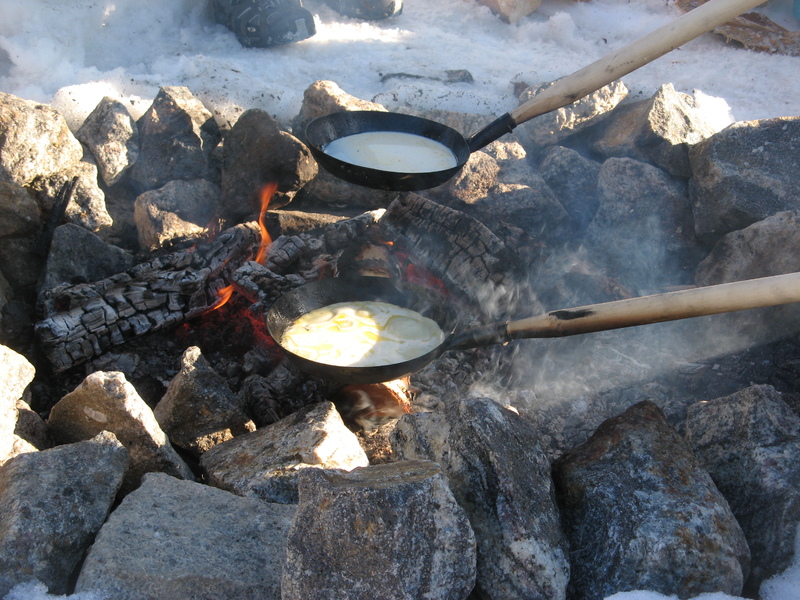 When planning to cook on your winter camping and backpacking expedition, try to make at least 50% of your food intake carbohydrates. Carbohydrates are the easiest to digest and break down into energy to keep your body warm. 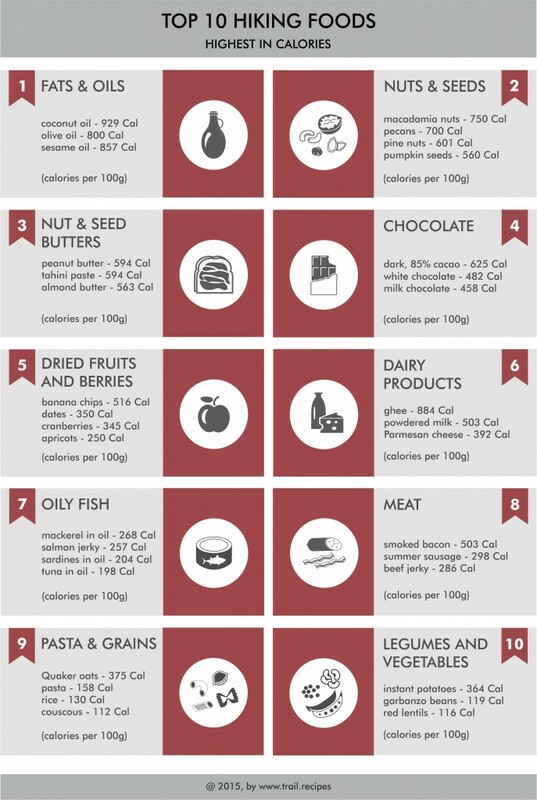 30% of foods should come from fats. They take longer to break down, but will provide for your body over a longer time period. And lastly, 20% should come from proteins to help feed your hunger, and repair your muscles and tissues after a strenuous day of exercise. If you run out of ideas check out Mountain House and Valley Food Storage (also on Amazon), they have a variety of great tasting meals that are ready for your next camping, hiking or backpacking trip. Prepare as much food as possible in advance, so that all you have to do it is heat it back up. One pot meals will save a lot of time and effort. Also, forget fresh fruits and vegetables. They are full of water and will likely freeze and be ruined. You can use dried or frozen foods. Also, snack frequently. Snacks should be ready to eat and just munch away as often as possible to continuously fuel your body.For breakfasts, you could bring instant oatmeal, hot drinks, peanut butter and jelly sandwiches, bagels, and so on. Something with carbohydrates, a bit of fat, and a bit of protein. For dinner, hearty soups would be a great option to warm up your body and provide it with a lot of nutrients. Preparation is key for navigating your path. Studying various routes from any certain point can be helpful in making sure that you have alternate routes to take in case one doesn’t pan out. Navigation can be tricky when you can’t see the ground. Bad weather and snow could prevent you from seeing the trail, seeing your destination, or (if you’re really unlucky), it could prevent you from saying 5 feet in front of your face. Before you even start your journey, ensure that everyone in your group has a map and has communicated what to do if you get separated (i.e. where to meet, alternate routes, and so on). Plan and follow safe routes that don’t involve walking on snow covered rivers and lakes, cornices, snow bridges, and so on. If you get lost, don’t follow someone else's tracks. They may be lost too! Don’t panic. Stay calm and assess the situation. Check your map and any other navigation tool that you have. Look around you. Stay together with your group and work together. Make yourself easy to find in as many ways as possible (fire, whistles, etc). Whatever form of transportation you use, even if it’s just walking or using sled dogs, make sure you have practiced a little bit beforehand and know what you are doing. It’s finally time to set up camp. There are a few things to consider to keep you safe in the night. Natural protection from the wind. A space that seems relatively safe from frozen branches or limbs falling on you (or avalanches). A spot that looks like the sun will rise on it in the morning. 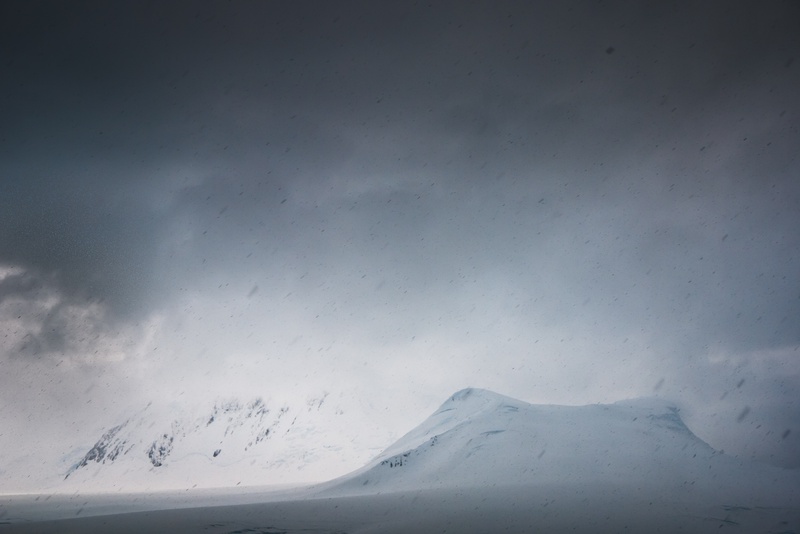 Look for landmarks that would help you identify where camp is located if you found yourself in a snow storm or the dark. Look for any water sources nearby. Your tent is your shelter. You want a shelter that will stay warm, withstand bitter wind and cold, withstand the weight of snow falling on it, and provide you a safe and cozy place to rest. 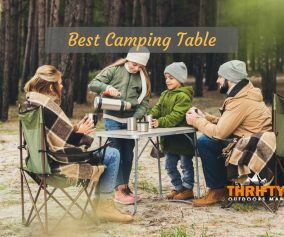 Here is a great list of the top five 4 season tents. A dome shape so that the snow can fall off of it. Extra guy lines to help with stability during strong winds. A large vestibule to use when cooking or storing wet items. More solid fabric, less mesh for added warmth and stability. Build a snow wall by your tent, if possible. Build the wall up to block some wind. 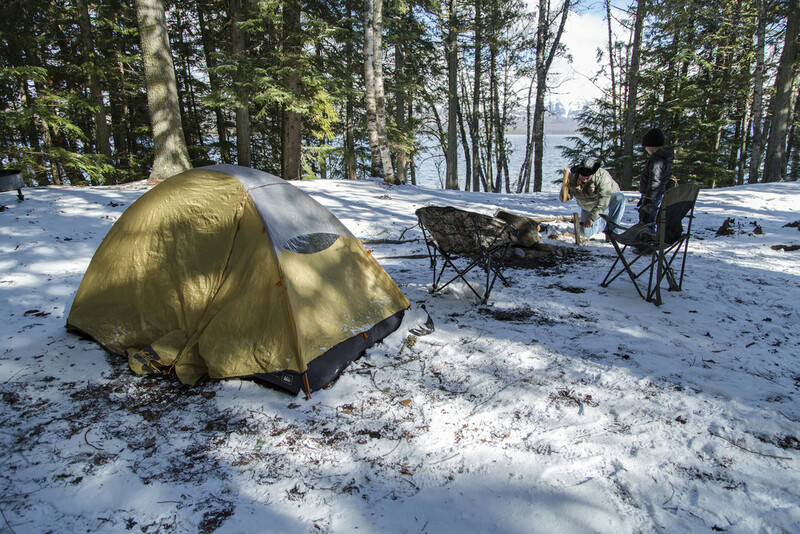 Also pack down the snow before setting up the tent so that less will melt when you lay down. If you can’t build a snow wall, dig down into the snow a little ways, if possible. It will also provide some wind protection and stability. 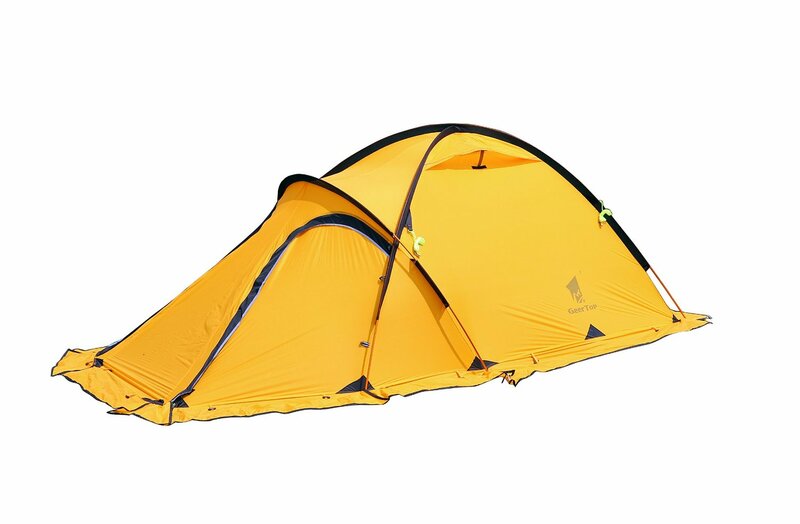 Come prepared with gear that can withstand the conditions that you are camping in. You can stay nice and toasty in a properly rated sleeping bag. Wear lots of layers (and no cotton!). It’s better to have too many layers than not enough. Just peel off layers if you feel to warm. Wear thick woolen sleeping socks that stay dry. Eat a hot and high fat meal before sleep. Your body will have to work longer to break it down, providing you with some inner warmth. Keeping your sleeping gear dry at all costs. And dry out any moisture that has accumulated each day. Safety is always an important aspect of any adventure. That’s why we have created this list! So that you are prepared and can stay safe. There are a variety of hazards out there when camping and backpacking, but there extra ones when you add in winter weather. 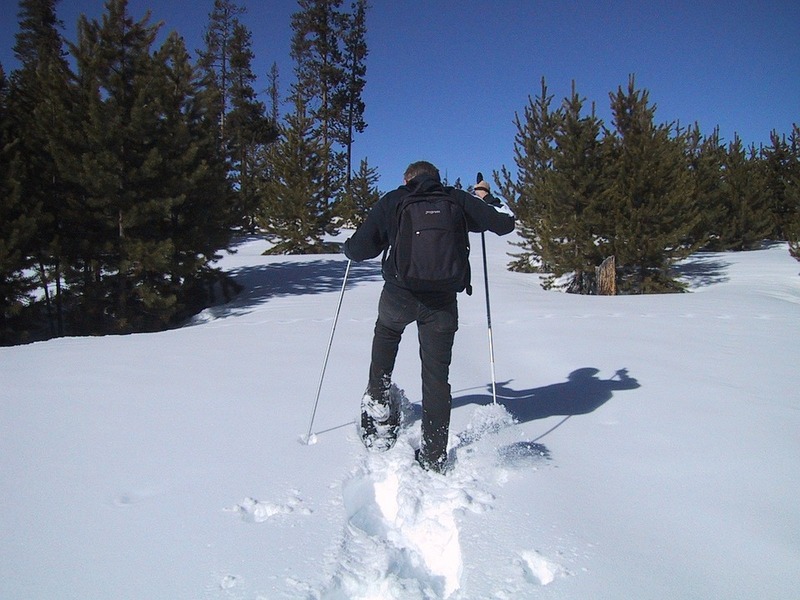 There are a variety of hazards that you could face if camping and backpacking in the winter. To ensure that you aren’t stranded alone with an injury, it is best to always, always go with a group. Obviously, the weather. You may start out the trip with no snow on the ground. Then a storm comes through and you are hiking through a foot of snow. 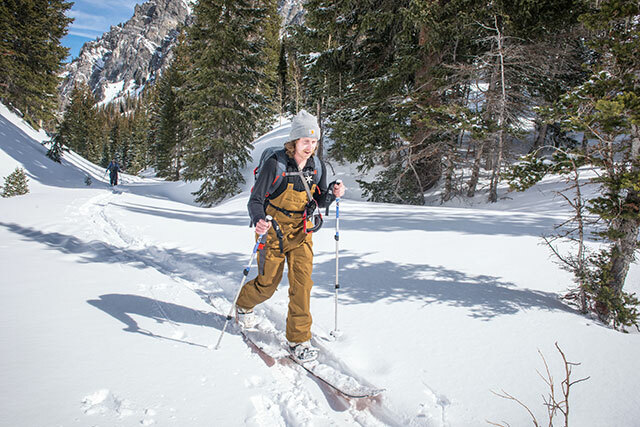 If you plan to hike above the tree line, crampons and an ice ax might be a necessity. Come prepared and know the area you are travelling. The weather might also be extremely cold or windy. Hidden paths. When there is snowfall it can be difficult to navigate your way around. 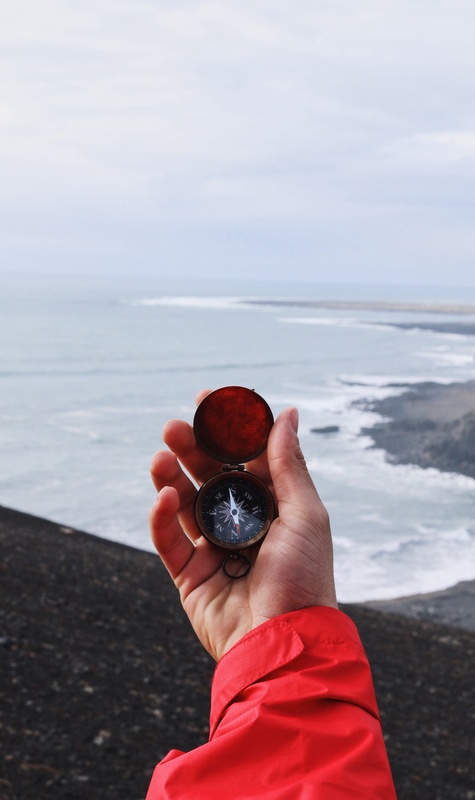 Be familiar with how to use a map and compass. If ice and snow are melting, areas where there is running water can become very dangerous. Proceed with extreme caution or find another route. Avalanches. Learn about avalanches. Where they occur. When they occur. What to do if you find yourself in trouble. 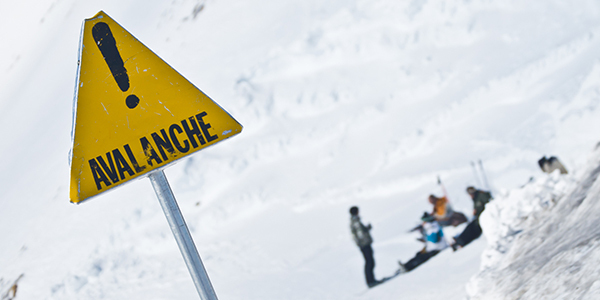 Her﻿﻿e are 6 tips on surviving an avalanche. There are a few tips to surviving some of the emergencies that you might face when going out on a cold weather adventure. There are many ways to build a fire. Here is a great guide on how to build a fire in the cold. 1)​ Gather fuel. This will help warm you up so you can actually start the fire without trembling hands. Get a LOT of fuel. It’s recommended to get enough that is could be stacked as tall and wide as you are. 2) Grab dry kindling, as much as you can. If it is wet out, you can chop into downed trees and pull the dry center out. 3) Bring tinder with you. You can soak cotton balls in petroleum jelly for an easy fire starter. You don’t want to waste time foraging around for dry grass and other materials. 4) Build a teepee with your supplies. 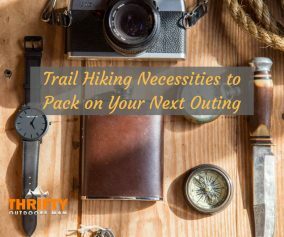 Hopefully you have all the food that you need in your pack. 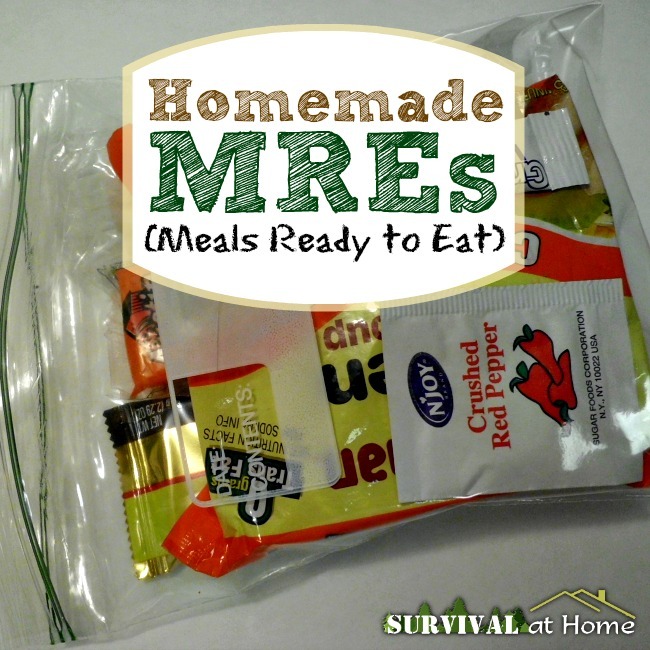 Food is essential for keeping your body strong while backpacking in intense conditions. If you are in need of finding food, becoming familiar with edible plants could be helpful. 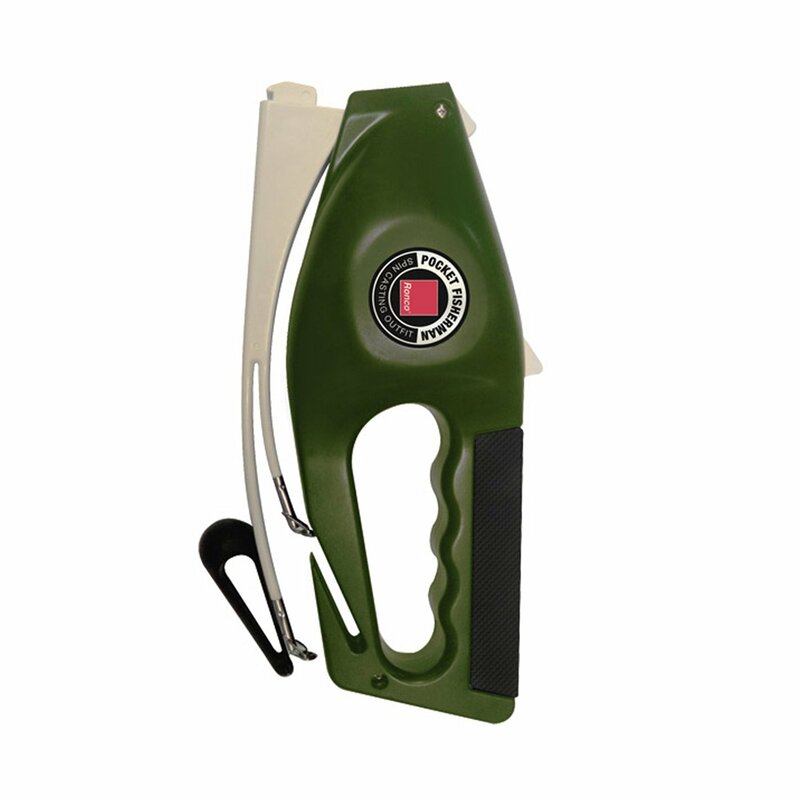 Or bring along a portable fishing kit like this pocket fisherman. Or learn how to set traps and snares to catch animals. These are two things that you don’t want to mess with. And you won’t have to with some preparation and knowledge. Frostbite is an injury to the tissues due to extreme cold; usually it affects the appendages, nose, face, and other small exposed body parts. Wearing proper layers and clothing. Covering any exposed body parts. Wear wool instead of cotton. Keep your clothes as dry as possible. If you start to feel hot and sweaty out in the middle of a snowstorm, do not take off your layers. Find shelter first and try to warm up. Your body becomes numb to the cold, and can trick you into feeling like you are hot. Watch the forecast. If you start to feel like you are getting tired and losing energy, there is no shame in setting up camp right then and there. Watch your extremities; for discoloration, numbness, or burning. You might not feel thirsty if the sun isn’t hiding and it’s cold out. Dehydration increases your chances of hypothermia, so drink up! And eat for that matter. You need both to fight off illness. If you suffer from hypoglycemia, you can take a few precautionary steps to make sure that your backpacking and camping trip is a success. Bring extra snacks full of protein and carbohydrates. Listen to your body. High altitudes can increase your need for carbs, while cold temperatures can suppress the mechanisms that break down fats. This can lead to hypoglycemia. 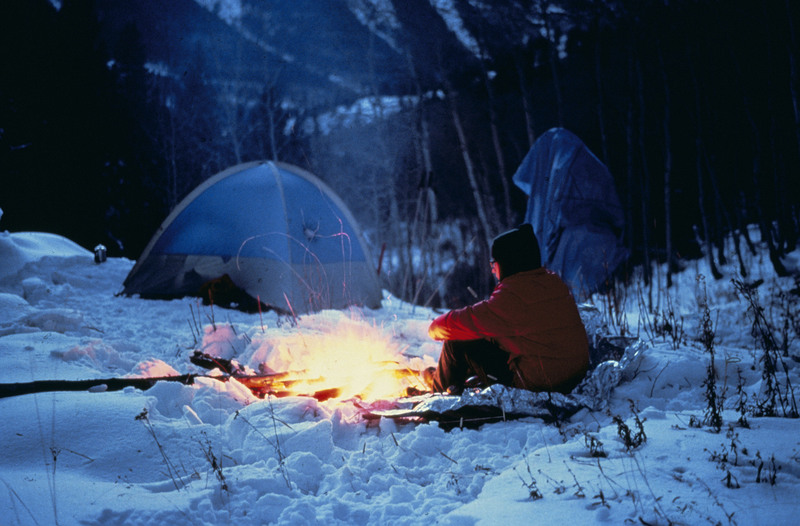 Winter camping and backpacking could be a majestic and beautifully challenging experience. There are a lot of added dangers when adding in winter weather, but with a lot of preparation, knowledge, and a positive and calm attitude, it can be a great success. What is the Difference Between Down and Synthetic Sleeping Bags?